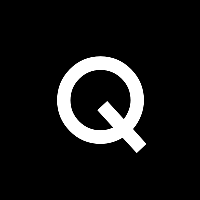 Quartz has announced three additions to its editorial team. Jackie Bischof has been named deputy talent lab editor. She most recently served as a digital editor for Newsweek. Also, Chase Purdy has joined as a reporter covering business. Purdy comes from POLITICO where he served as a staff writer since July 2014. Additionally, Joon Ian Wong was hired as a technology correspondent for Quartz’s London bureau. Previously, he served as a journalist for CoinDesk. For more international business news, follow Quartz on Twitter.